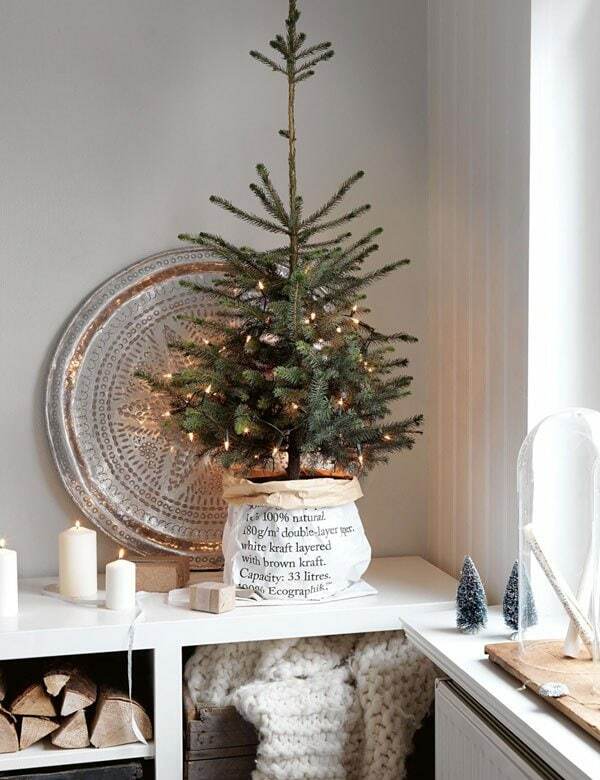 Simply Stunning Neutral Christmas Decor - The Top 20! 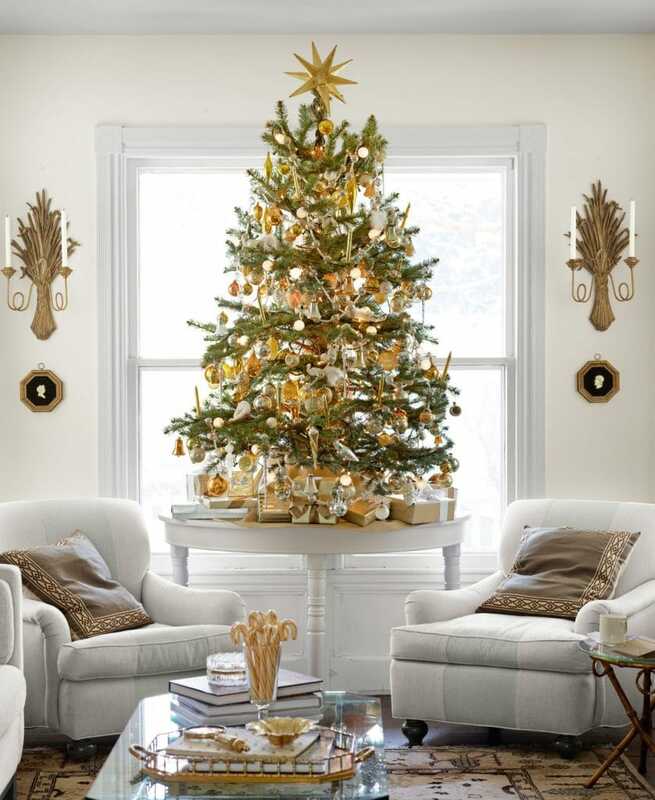 Stunning Neutral Christmas Decor – The Top 20! 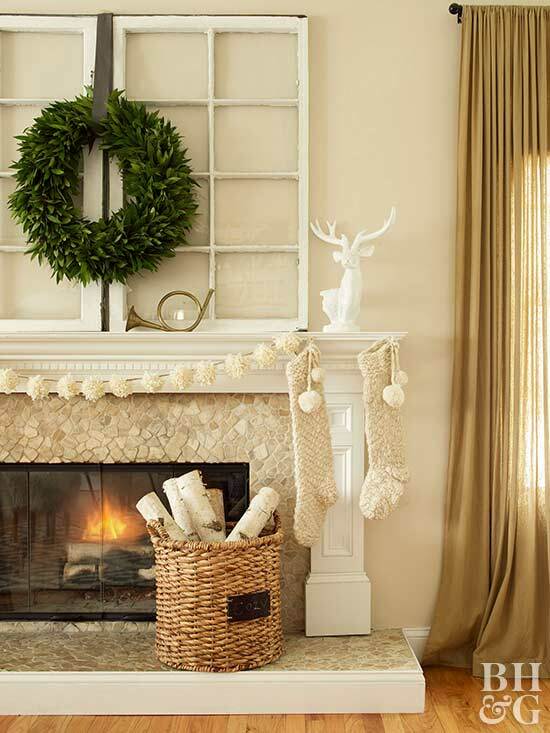 Obviously if you’ve been a reader for awhile now, you know that I love neutral Christmas decor. You can read here about when I first was falling love with a neutral Christmas palette. Well, it turns out, I’m more in love with it than ever! I love that a neutral Christmas usually means a more natural look. More greens. Less busy-ness. 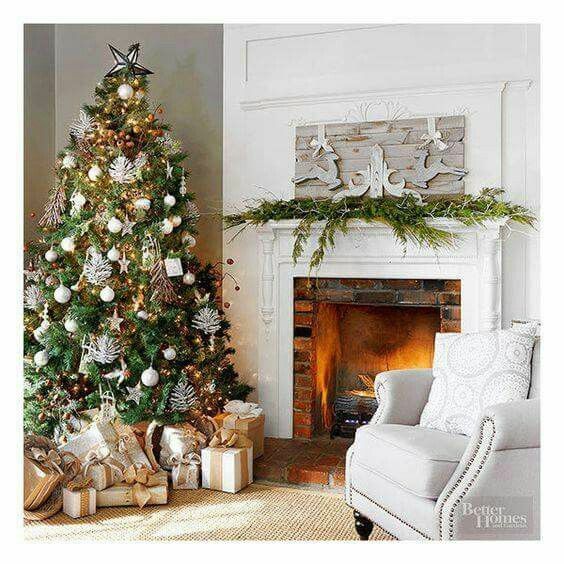 Because with Christmas decor, at least for me, less is definitely more.The last thing I want is for the house to feel even more cluttered than normal. 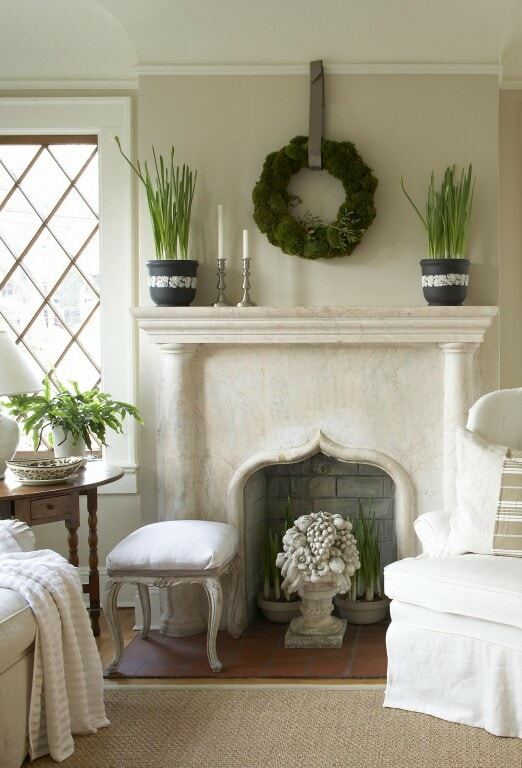 Using a natural, neutral palette feels more serene and calming to me. And with all our lives getting busier all the time, that is something I definitely need. 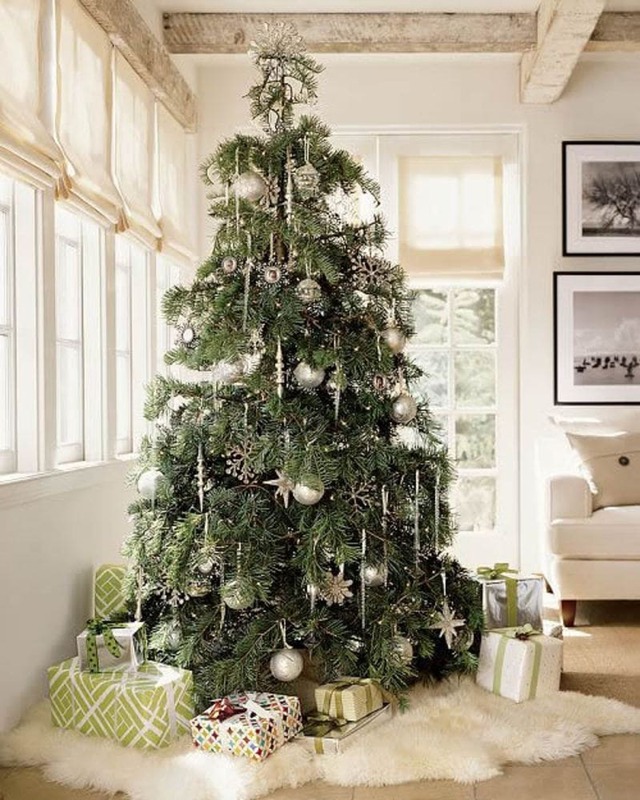 Not every neutral Christmas room is natural, or even simple, but it does feel like most are. The earth colors just seem to lend themselves to a more pared back look in general. And neutrals always feel soothing and peaceful to me. So today for my Friday Favorites post (I haven’t done one of these in a while!) 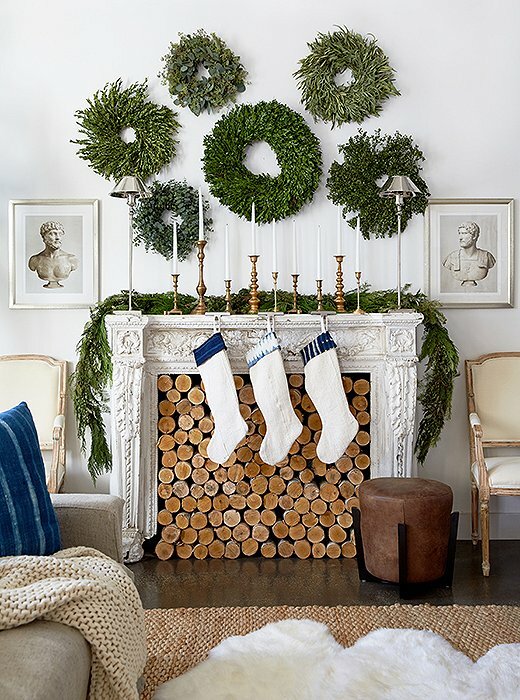 I thought I would share some of my favorite examples of Neutral Christmas Decor! Some of these I’ve had pinned for years (check out my Christmas Pinterest board for more inspiration), but others are newly discovered. I think you’ll see why I find this look so stunning! This is one of my all-time favorite spaces in general! Love that crusty urn with the greens and just a few mercury glass trees as the centerpiece. Design by Lisa Luby Ryan. This is the other side of the same kitchen. Just a simple wreath on the mirror. Via Lisa Luby Ryan. How cute is this tree? And I love that it’s in a basket! 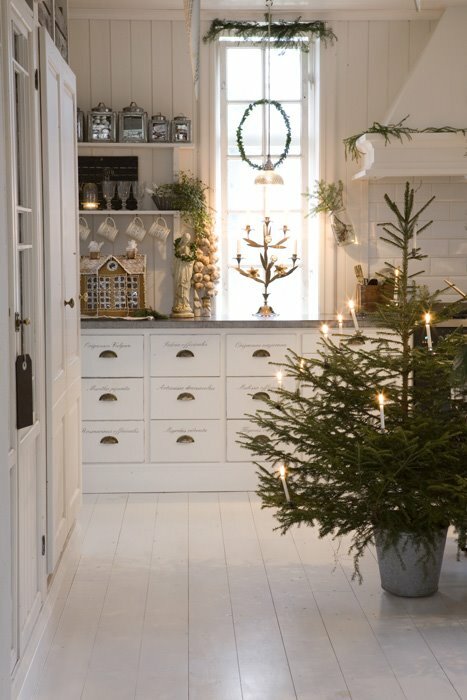 Via Nordic Style Blogg. Simple Scandinavian kitchen. Via Min Lilla Veranda. 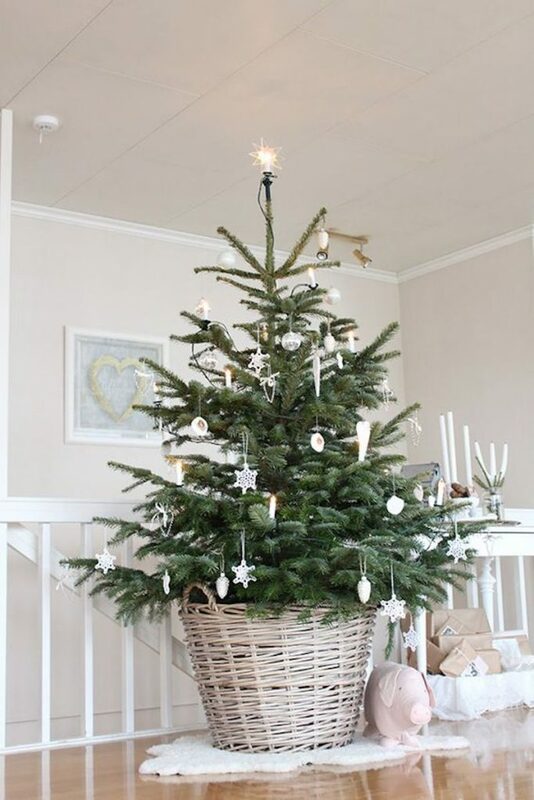 Stunning example of neutral Christmas decor. Via Better Homes & Gardens. Natural greens on the stairwell- and I love how long they are! Via Better Homes and Gardens. This is seriously perfect! 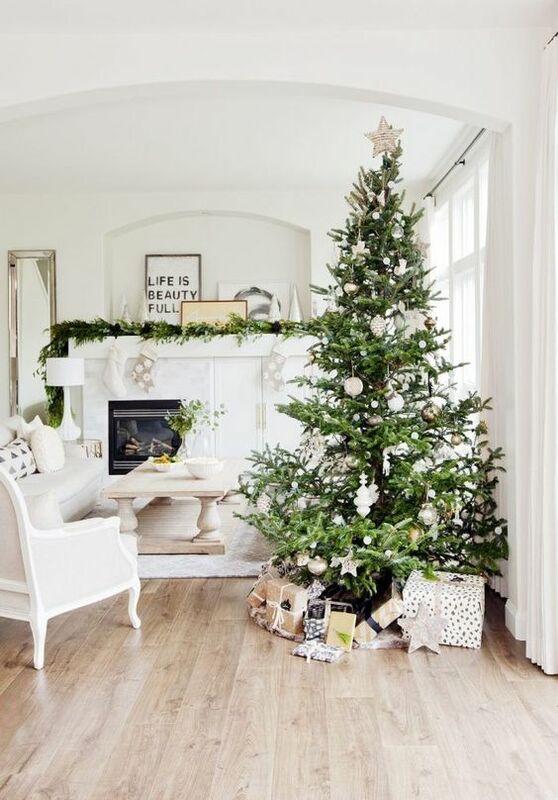 The mostly white decor on the tree is simple yet sophisticated. 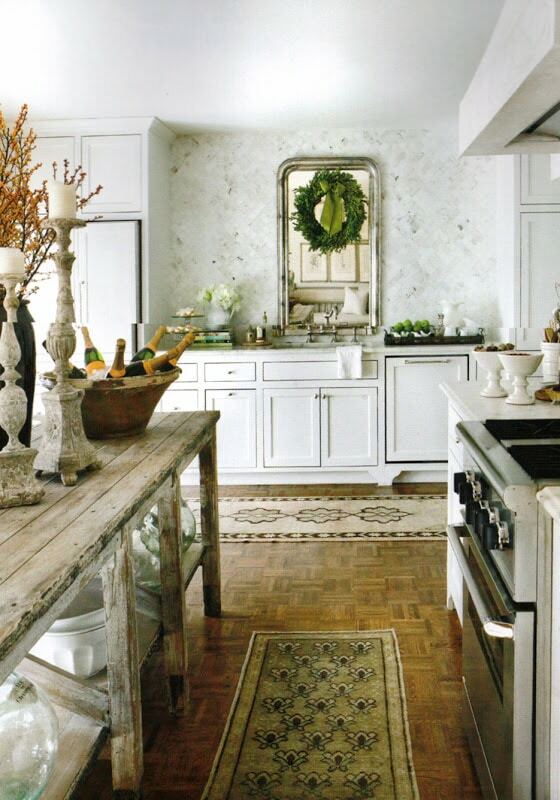 Stephanie Jean Design via Elle Decor. 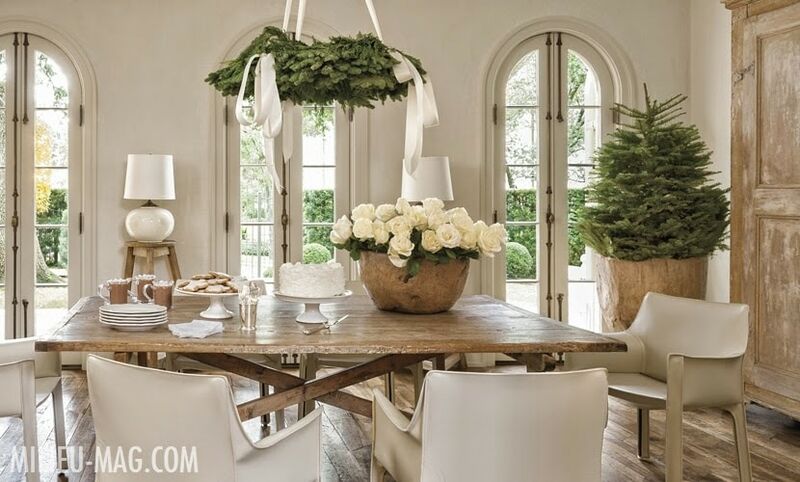 Eddie Ross shows how neutral Christmas decor can still feel festive. Via Country Living. 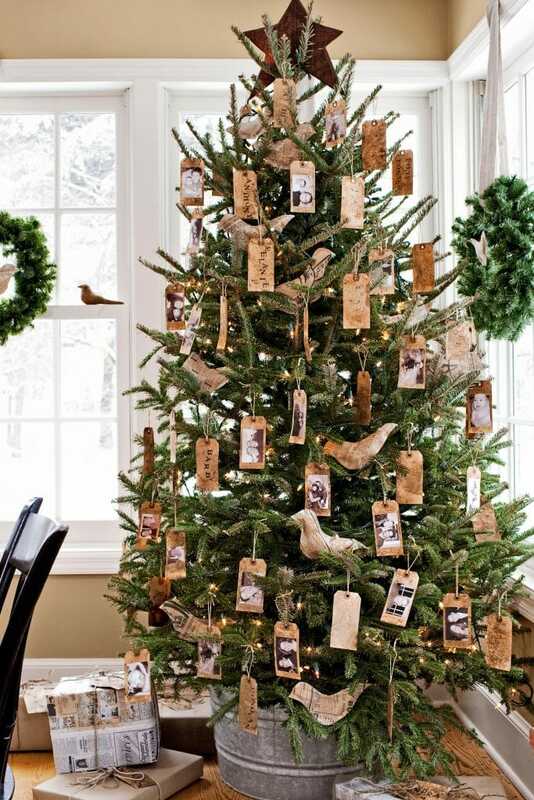 I love the natural look of this tree and how she printed cards with photos as the ornaments! The old bucket as tree stand, and plain wrapped packages complete the simple space. By Country Living. Her blog is a study in simplicity, with the most divine photography. Via Dreamy Whites. One of my all-time favorite images! This whole space just speaks to me. Via Veranda magazine. Simple tabletop tree in a coffee bag, I think? Adorable. 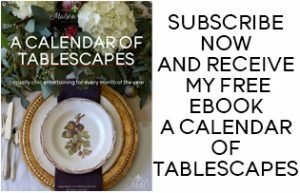 By designer Mariella Houtsma via My Cosy Retreat. 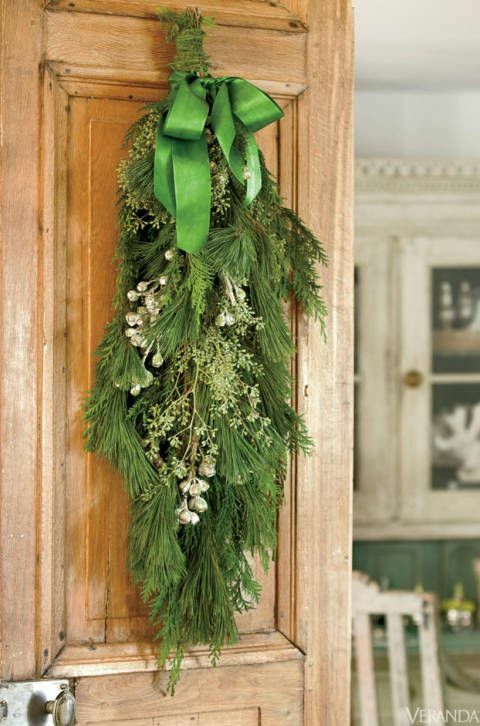 The display of wreaths is so simple, yet so effective. Via One King’s Lane. By Lisa Luby Ryan via Traditional Home. 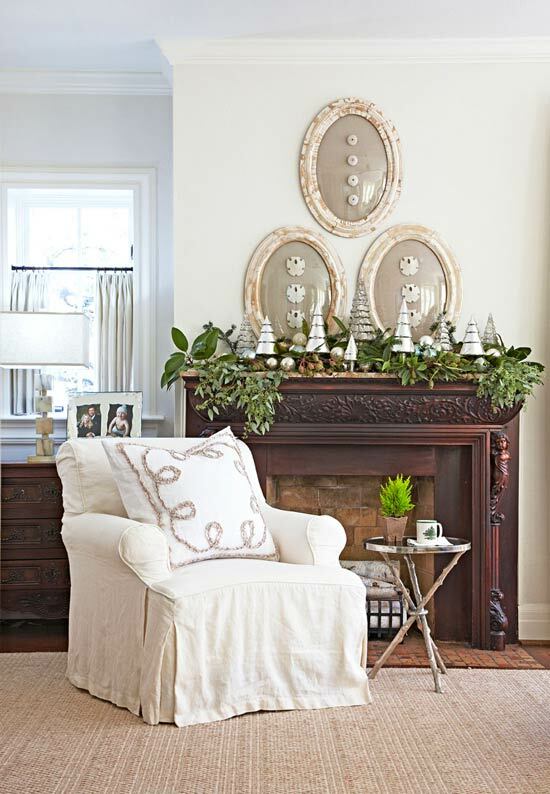 Pam Pierce does the most amazing neutral Christmas decor! Inspired, simple, and stunning. 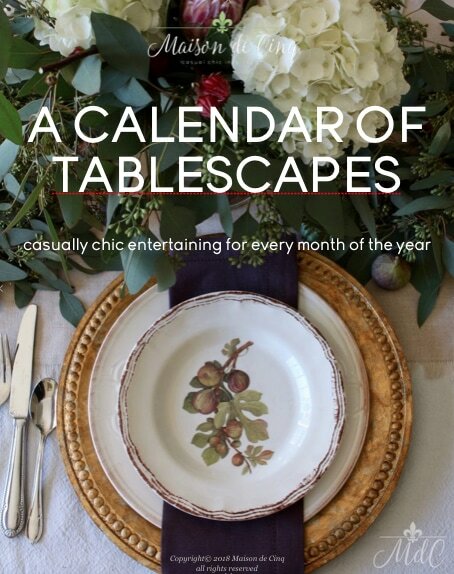 Via Milieu magazine. 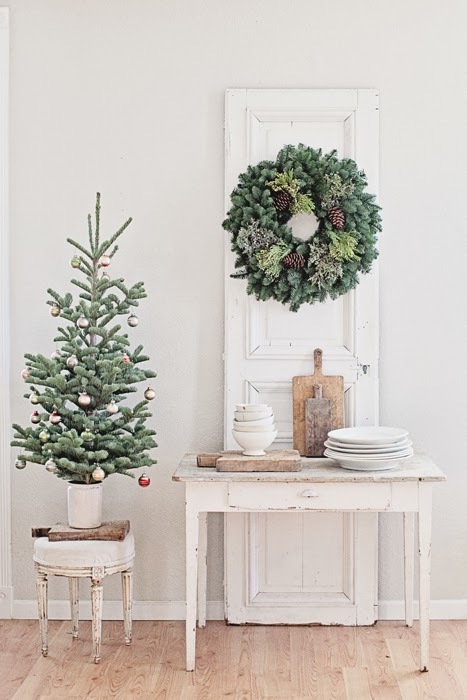 Love the simple swags of greenery used here. Via Veranda magazine. I hope you’ve found some inspiration today! 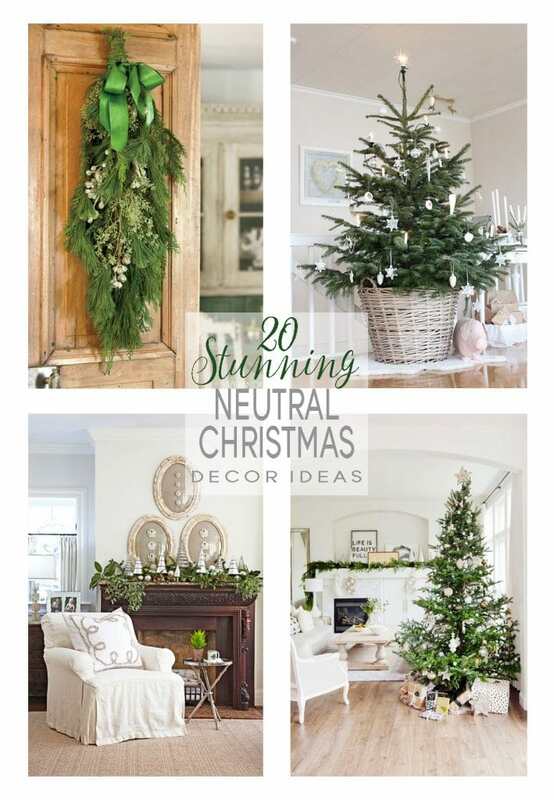 And I’d love to hear, do you like neutral Christmas decor? Or are the traditional reds and greens the thing that speaks to you more? Let me know below! 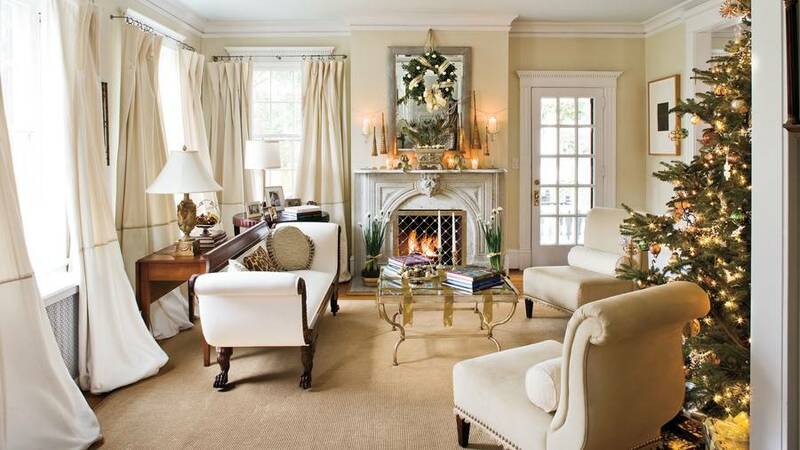 I agree, these rooms are inviting with their clean, natural approach. I loved this post. Aww, thanks so much Karen! Hope you’re doing well! 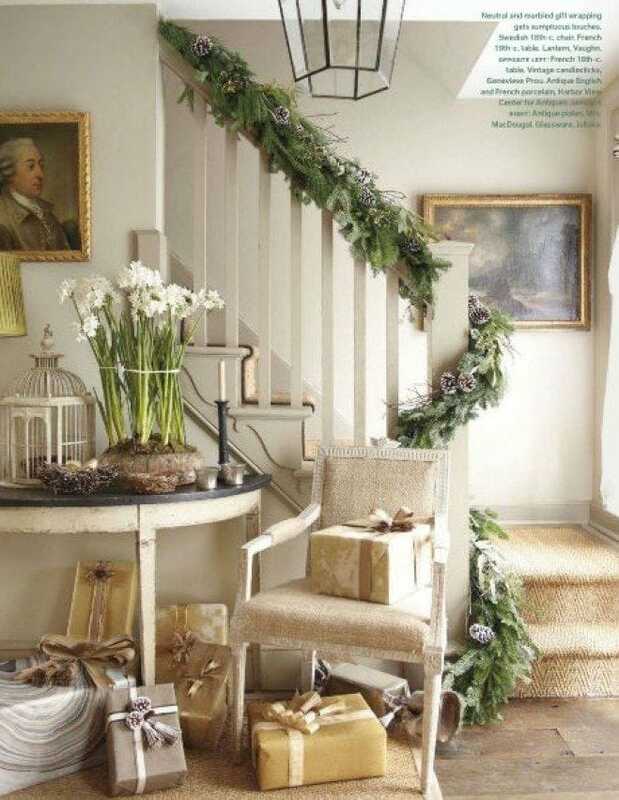 HI Sheila, I love the simplicity of a neautal palette for Christmas as I’m going more neutral in our home. Can’t wait to paint our kitchen white. I have been leak g more towards a neautral winter theme in both my outdoor d cor and indoor Christmas d cor. this year I did go with pops of red just to add little punch. After the holidays I’ll remove the red but leave the rest of the neutral decorthat is in a winter theme. So glad you’re loving the neutral too! And I LOVE that you added the pops of red! 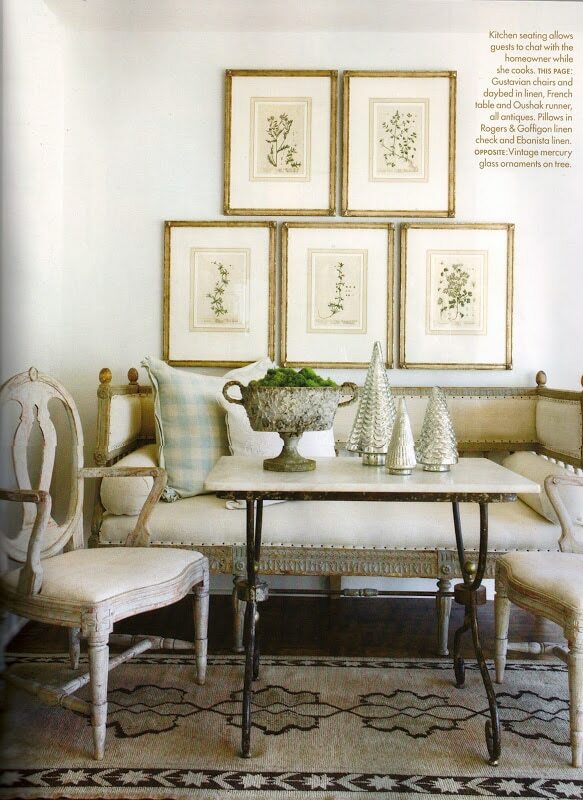 The great thing is the white/neutral background allows you to add any pop of color when you want it, which I love. Thanks so much for stopping by and Happy Holidays! What can I say? I LOVE it all! 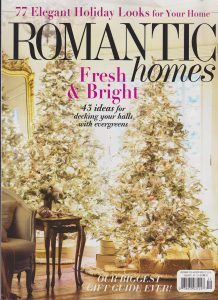 This time of year when most blogs are showcasing their beautiful homes decked out for Christmas, I save the links or even pictures for next year’s inspiration in our home. Thanks so much for showing all these great examples and for showing us your own home too! Hi Connie! Thanks so much for stopping by! I’m glad you’ve been inspired by this post. I know I’m absolutely in love with this look! I’ll be excited for you to try something new next year, and you’re right, with neutrals already in place in your furnishings it should be easy to incorporate. I’d be curious to see the difference and hear how you like it. I haven’t regretted it for a minute that’s for sure! Thanks for commenting and happy weekend to you!